The common entrance examination for design (CEED) is a nationwide entrance examination conducted by the IIT Bombay every year for the students who are interested to get enrolled in the various design courses available at the recognised Indian institutions such as IIT Bombay, IIT Delhi, and IISc Bangalore. The common entrance examination for design is an examination conducted in two parts followed by an Interview for the shortlisted candidates. It is conducted by IIT Bombay. The CEED preparation and the corresponding course for the examination may help and assist the student to face the examination with confidence. Masters in Design (M.Des) is one of the unique programmes offered by Department of Design, IIT Guwahati. The student applying for post graduate (M.Des) program should qualify the Common Entrance Examination for Design (CEED) conducted by IITs as a part of their central admission procedure. They are further shortlisted through aptitude test and further on through a personal interview session. You can view the course structure for M.Des in the official website of the IIT. Design discipline takes students with a keen eye over colour sensitiveness, structures, perception, aesthetics, innovation and an aptitude towards the discipline. This test is conducted on the last day of the counseling sessions at all the centres. The Ph.D program will emphasize investigative work in fundamental Design which is not only interdisciplinary but also intradisciplinary. The range of disciplines of integrative interest include, but are not necessarily limited to, Usability Engineering, Interaction Design, Design Semantics, Experiential Design, Environment Design, Human –Computer Interaction Design, Ergonomics, Design Management and Product Design Engineering. Since the program is rooted in User Centered Design, specific areas in pure engineering design such as Machine Design, Software Design, VLSI design, etc are not the focus of research. However all 'Use' and User connected design issues in pure engineering areas, regardless of the branch, fall within the ambit of the research program. The CEED qualified candidates are provided with scholarships by the respective institution IIT and are advised to work on teaching/conducting various workshops etc for the CEED student community. 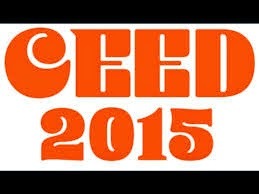 Kindly post your replay for "CEED Scholarships"